Meet Penelope. Her story continues a series sharing the purpose, passion and personal stories of our community organizers and leaders. Penelope worked as a safety coordinator for a concrete plant before joining the Heartland Workers Center as a bilingual trainer. 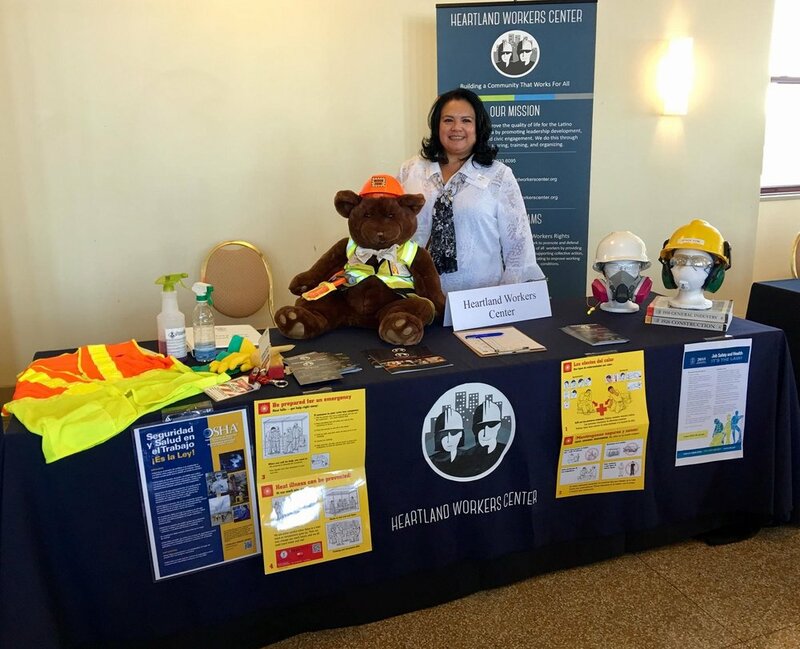 Helping lead OSHA and workers rights trainings in Spanish and English, she draws upon personal experience and her expertise on the subjects to educate and empower training participants. After a year and a half in the role, she stepped out into south Omaha’s neighborhoods to help with canvassing for the Center’s community assessment report. This work led to continued conversations with Omahans around civic engagement and the opportunity to learn more about community organizing. Initially, Penelope had moments where she found it difficult to strike up a discussion with someone she had just met. Pushing through this barrier, she “just started talking” and found that her determination made way for relationships that she didn’t expect. Building collective power takes time, she says. By staying in touch with the people she meets and supporting connections among neighbors, Penelope’s had the opportunity to witness others’ dedication to taking a collective stand for improvements in their world. Penelope’s commitment to create a community that works for everyone has come full circle. There was a time when she would try to provide solutions for the challenges people face, but she’s seen much greater successes working together to make changes. Penelope has found that in coming together, people naturally seek to support each other and stand up for the changes they want to see. “We want to act; we don’t want to wait,” she said.